Email marketing can be profitable for any business, no matter what kind of product or service you offer. It is significantly cheaper than other advertising methods and, if done right, helps build loyalty and trust with customers. As a result, you generate more sales and more profits! 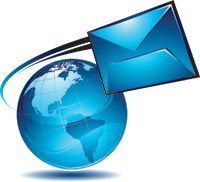 The foundation for successful email marketing is a targeted, permission-based email list. Marketers call contact lists their ‘goldmine’ because it can generate much of their sales revenue. If you’ve built up a list of opt-in subscribers that are qualified and interested in what you have to offer, then you’ve completed the first step and are on your way. Now it’s time to ‘mine’ for gold! With these 15 ways to build your subscriber list you should have a head start in getting your sales funnel working more effectively for you. A timely post for me personally, Ian. I was listening to a lecture about Mailchimp yesterday as a refresher course and discovered that there is a possibility of using their pop ups as well as coding for related content sign ups. I’m planning to try it especially for the website pages. It feels as if your post and yesterday’s studying is part of a Divine List Building plan for me. Ahhh, seems like things are putting themselves in front of you to take the next step then Vatsala. Keep moving forward and all will be good. Thanks for the comment. Cheers, Ian. Great list you’ve put together here. Keeping this post for reference. I love lists, they make my life so much simpler…. This is a great resource, thanks! Thanks Norma, lists are a great way to show ways of doing something without being “boring” and also for giving you a resource that you can use in a structured manner. Going through and trying these ways to build your subscriber list one by one will allow you to see what works for you and what doesn’t. Thanks for commenting. Cheers, Ian. Very valuable points in this post, Ian. Something we all can be more conscious of and make sure we are doing. As much as I’ve implemented these items, there is always room to tweak and reassess what is working and what isn’t. Appreciate the great list and appreciate you always offering solid information that is important to consider! A ton of great tips here! Point 14 is the one I’m having the biggest challenge with 🙂 Thanks for sharing this with us. Gonna print it! Great list of helpful tips Ian, some we already do but there is always room for improvement. This is definitely another cheat sheet I will bookmark so I can fix these things on my website. 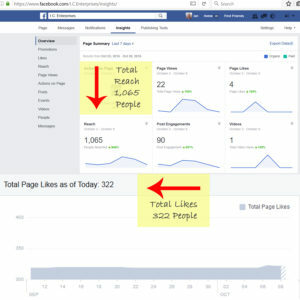 I love your tips for building followers and getting visitors. Blogging religiously is still something I am working into my routine, LOL. Thanks for sharing, Ian – always love reading your blog! Thanks so much for sharing your “Top 15 Ways To Build Your Subscriber List.” Great information.